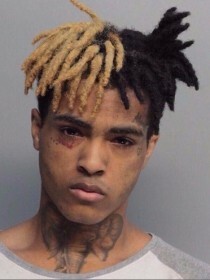 Jahseh D. Onfroy (born January 23, 1998), better known by his stage name XXXTENTACION, is an American hip hop recording artist from Plantation, Florida. Despite being in jail for most of his career, Onfroy has continued to grow a large cult following in the underground hip hop scene. 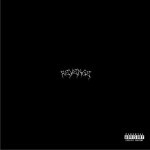 While still remaining underground, he has gained the support of mainstream artists such as DJ Carnage, Lil Bibby, ASAP Rocky, Lil Uzi Vert, and Nicole Dollanganger. Onfroy is known for his versatility with his music, which ranges from aggressive, punk rock-inspired hip hop, to somber and slower R&B style songs, to even heavy metal. His music is known for the lofi sound quality of his vocals and songs, which normally are distorted and unmastered. His vocal style ranges from singing, rapping, and screaming. Onfroy is also known for his violent outbursts in public life, with numerous arrests related to assault, robbery, and weapon possession. Onfroy recently gained popularity in early 2017 due to Canadian rapper Drake using a similar rap flow from Onfroy's song "Look at Me" in an unreleased song that Drake previewed at a concert in Amsterdam featuring British rapper Giggs.